Here's a complete rundown of all the demo dates for Anthem, including start times for PS4, Xbox One, and PC players. The Anthem demo will be going live today, after the VIP demo had a bit of a rocky outing the previous week. In this Anthem demo start time and date guide, we'll be going over all the Anthem demo dates, including when it starts and ends. We've also got info on how to play the Anthem demo, and what platforms it's on. If you instead need any additional information on BioWare’s new IP, you can head over to our Anthem guides hub. 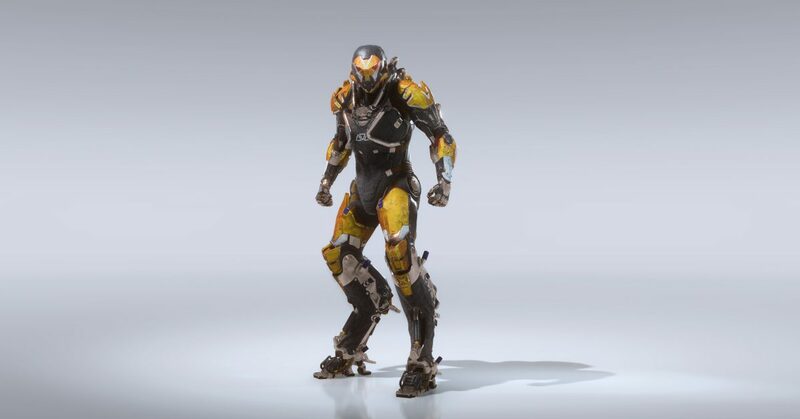 Here you can find all the information you need on the story going into the game, as well as a full breakdown of all four Javelin exosuit classes featured in Anthem. This weekend's Anthem demo will be open to all players, on all platforms (PC, Xbox One, and PS4), regardless of whether or not you’ve actually pre-ordered the game. The public demo for Anthem will kick off on Friday, February 1, and run until Sunday, February 3, until the servers for Anthem are once again shut down. Check the details below for start and end times for each platform. The Anthem demo on PS4 will start in the morning on Friday in the US, but in the afternoon/early evening in the UK and Europe. The Anthem demo on PS4 will be available to everyone, with no need to have pre-ordered the game. PS4 players will need a PlayStation Plus membership to play. The Anthem demo on PS4 will end in the evening on Sunday in the US, but in the early hours of Monday morning in the UK and Europe. The Anthem demo on Xbox One will start in the morning on Friday in the US, but in the afternoon/early evening in the UK and Europe. The Anthem demo is available to all Xbox One owners, but to play it you will need an Xbox Live Gold membership. The Anthem demo on Xbox One will end in the evening on Sunday in the US, but in the early hours of Monday morning in the UK and Europe. The Anthem demo on PC will start in the morning on Friday in the US, but in the afternoon/early evening in the UK and Europe. The PC Anthem demo is available to everyone, with no pre-order being required. The Anthem demo on PC will end in the evening on Sunday in the US, but in the early hours of Monday morning in the UK and Europe. It’s worth noting that progression in the demo for Anthem won’t carry over to the final version of the game, which releases later in the month on February 22. You’ll start out from the hub area of Fort Tarsis, and you’ll then be able to explore a limited amount of the open world in the four Javelin suits (we don’t yet know when each will unlock in the demo). Not only can you explore a limited amount of the open world in the Anthem demo, but you can also take on a select amount of missions. Should you manage to progress far enough into the demo, you’ll even be able to take on a Stronghold with up to three other players. EA has also teased a reveal of some new content we've yet to see in the game. As of right now, this is all the information that you need to know about the two demo versions for Anthem. Now that we’re all done here, you can head over to our Anthem Ranger Javelin guide, or our Anthem progression guide for more. Tagged with Action,	Adventure,	Bioware,	Blockbuster,	Co-op,	Guides,	PC,	PlayStation 4,	Role Playing Games,	Shooters,	Xbox One.